Get the scoop on the must-have shades of the season. A new season calls for a refresh – presumably one that comes in the form of an interior. 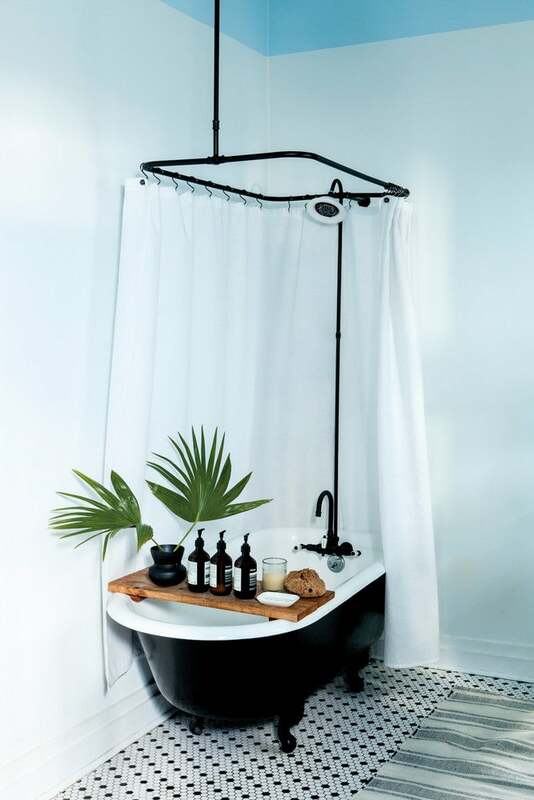 We’re looking to tackle the bathroom with an inspired slew of summer-friendly shades, most of which are leading the trends right now. Not to worry, these subtle hues are beautifully understated yet dynamically-charged, meaning that they can last long past their spot in the limelight. Read on to discover the timeless paint colors that belong in your bathroom! Get the scoop on this dreamy bath on Nuevo Estilo. Subdued shades of white have long-established themselves as a staple in home decor, taking charge within schemes of neutrals and timeless hues. We’re looking to impart the palette with a modern update by opting for shades that come with creamy undertones and stone-inspired accents. These colors work best within a bathroom that skews more towards the contemporary aesthetic, which will allow for the subtle warmth of the shades to offset the rigidness of the decor scheme. A true blue is about as classic as it gets, especially when it comes to decorating the bathroom – this spot in Charleston is only proof. Elevate the effect of the wall paint by opting for a low key color block featuring two similar shades of a complementary scheme. In this bathroom, black and white floor tiles focalize the finish of the paint setting the tone for the remaining elements of the room. Minty blue-greens are making a comeback and we’re all for embracing the trend with a smokey undertone. The off-blue qualities of this two-tone look imparts this London bathroom with a timeless finish. It sets the ideal backdrop for the intricate wallpaper above, while creating a soothing element within the otherwise dimly-lit space. Classic traditionalists, this one’s for you. This dual-toned space is all about channeling the Greek Cyclades. A well-thought-out distribution of the reserved palette imparts the area with a dynamic finish, which manages to effortlessly complement the soft curves and edges of the room’s architecture. Afraid of going all out with the color? Take note from this space and opt for an eclectic color block on adjacent walls. Photo by Earl Smith via Design*Sponge. For those whose color preferences skew towards the warmer tones, here’s one shade you should be seriously considering for the bathroom. This dusty blush pairs well with an off-white palette and invites in the opportunity to layer the look with warm wood accents and rustic details. Utilize mint greens and pinks of a darker spectrum to instill a well-balanced finish.